Hey Mom, I'll Start Dinner! 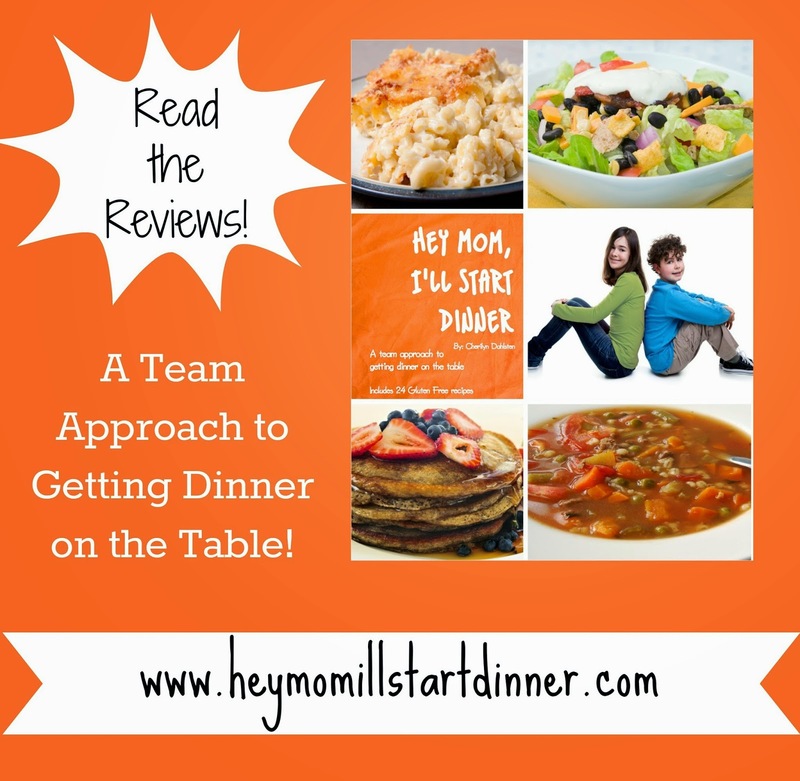 is the first cookbook written by Cherilyn Dahlsten, a working mom of four boys. She's passionate about raising great kids, and has found that making kids a part of meal time preparation goes a long way toward raising confident, contributing, unselfish kids. Each recipe in this book has been written with explicit instructions so that a child (around age 12; younger with some adult assistance) can make them independently. Our team of reviewers has spent 6 weeks or so using this book with their children, and we're excited to share our reviews with you. Click here to read the reviews! KEEP GOING TO ENTER THE GIVEAWAY!